What is a Literary Publicist? A publicist is a professional who has both the know-how and the network in place to help bring your name to the public. In the literary world, a publicist is key to the marketing plan, to create consumer appetite for a book title, and to stimulate buzz for the author. A literary publicist promotes the book title directly to consumers through niche markets with an interest in the storyline or subject matter of the book. The publicist also networks with media by pitching specific interview angles the author can provide—setting up the writer as an expert on certain subjects. Most PR and communications firms offer a wide array of services. They come alongside of you at any stage in the writing game. They can help expand your platform, branding, and name recognition. Need some help making sure your website is selling you in the best possible light? Ask your publicist. Some will even edit your manuscripts and write your book proposals, query letters and marketing plans. Many customize plans to work with your goals, no matter where you are in the literary process. After the book contract, your publicist will customize a plan for promoting you and your titles with the goal of maximizing exposure—with hopes that the promotion goes “viral.” This requires multiple reaches to the public, through traditional media presence, online spotlights, and waves of social networking. 1. A publicist has the media contacts and relationships needed to secure interviews/ reviews. 2. A publicist knows how to pitch your book to the media and how each journalist prefers to be contacted. 3. Most writers do not have the time to devote to a publicity campaign. It is a full-time job. 4. When an author pitches his own book to media or consumers, it is sometimes viewed as being too self-promotional. A publicist is seen as a third party. Others are more receptive to discussing book promotion with a publicist rather than the author. 5. When media, retailers, and consumers hear an author has a publicist, they seem to think the author has more “clout.” It legitimizes the expert-status of the author and elevates them to a higher professional standing. 6. An author with a publicity team has “peeps.” It’s that whole “I’ll have my people contact your people” approach. 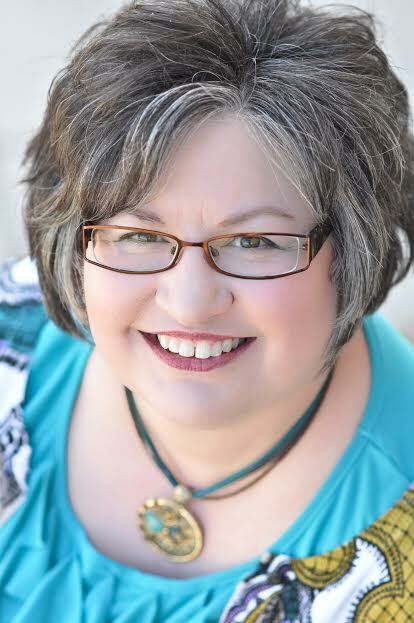 Kathy Carlton Willis spins many plates as writer, speaker, editor, and platform coach. She writes and speaks with a balance of funny and faith—whimsy and wisdom. Kathy discusses the key issues that hold believers back and shines the light on their paths to freedom. Kathy’s passionate about helping audiences have lightbulb moments. All told, nearly a thousand of Kathy’s articles have been published online and in print publications. Speaker to Speaker: The Essential Speaker’s Companion (OakTara) and Grin with Grace (AMG) are set to release in 2014. She serves alongside her pastor husband, Russ Willis, in local church ministry. This entry was posted in Writing and tagged book publicity, Kathy Carlton Willis, marketing, Publicist, publicity by Greg Johnson. Bookmark the permalink. Barbara, you’d be surprised how a publicist can help out at any stage of the writing process! I’ve been giving a lot of thought to hiring a publicist when my next book is released for the vary reasons you cite. Thanks for helping clarify my thinking. Henry, so glad it helped you out. All the best on your endeavors! Oh boy, just when I think I’m beginning to understand a little bit of the world of literature and publishing and the jazz around it involved, I come across something I didn’t even think of along the way. Just shows you there is much more learning to be done every day 🙂 Thank you for posting this, it was very educational! Laura, so glad the article helped you learn another part of the publishing world. It takes a while to learn this industry! Kathy, I took your session at the writer’s conference in Spartanburg. Since then I’m having my first book published, and it’s supposed to be released around Thanksgiving. I would love to be able to have you as a publicist, but it’s probably not going to feasible now, since I got no advance and haven’t made a cent yet. Janice, it’s great to re-connect! Blessings on your book publication. Please email me so I can give the new book a shout-out for you. Love helping create ripples for authors!